This stall is amongst one of the 2 stalls have got a constant queue and the queue usually get longer during lunch though the waiting time is not as long as expected as the service is pretty prompt. They used to be in Seletar for about 15 years before moving to this location in 2011. They offer Sheng Mian and Mian Fen Guo in soup and dry version for $3 and above. 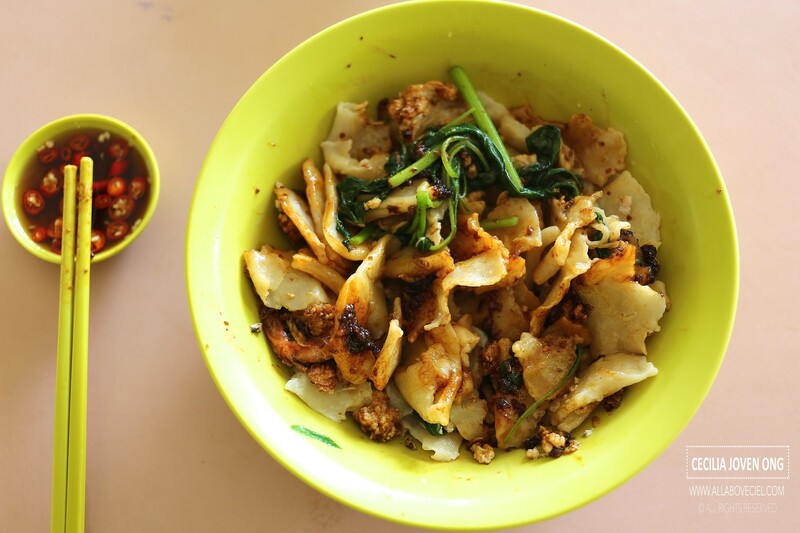 Most of the regulars usually go for their Mian Fen Guo, commonly known as Mee Hoon Kueh. This is a homely dish that my late Grandpa used to cook for us. 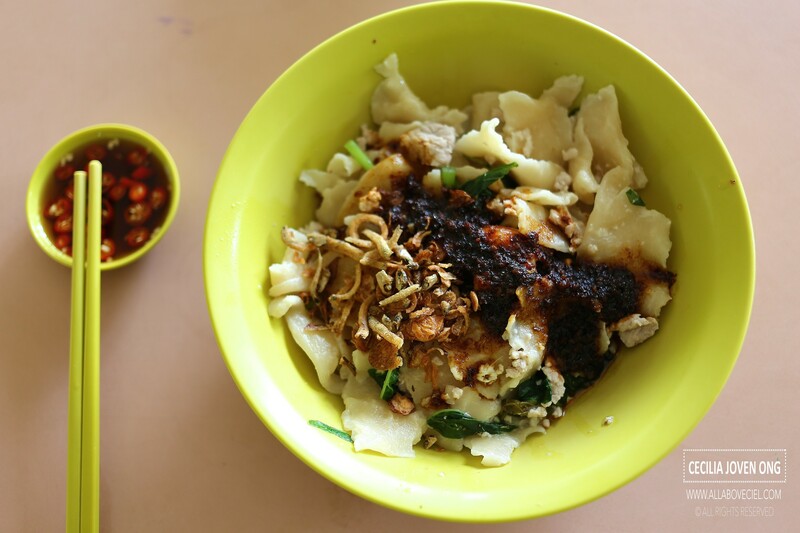 If you wonder what exactly is Mee Hoon Kueh, it is a type of hand pulled noodles made using flour, egg, water and salt. You mixed everything together, knead it, left the dough to settle before tear it, pieces by pieces and drop them into the broth then add in desired ingredients like vegetable, minced meat and egg to cook together and topped it with ikan belis and deep-fried shallots to serve. The dry Mee Hoon Kueh is my comfort food, something that i would usually crave for when i stay away from Singapore for a while. It is the comforting aspect of this simple dish that always warms my heart. 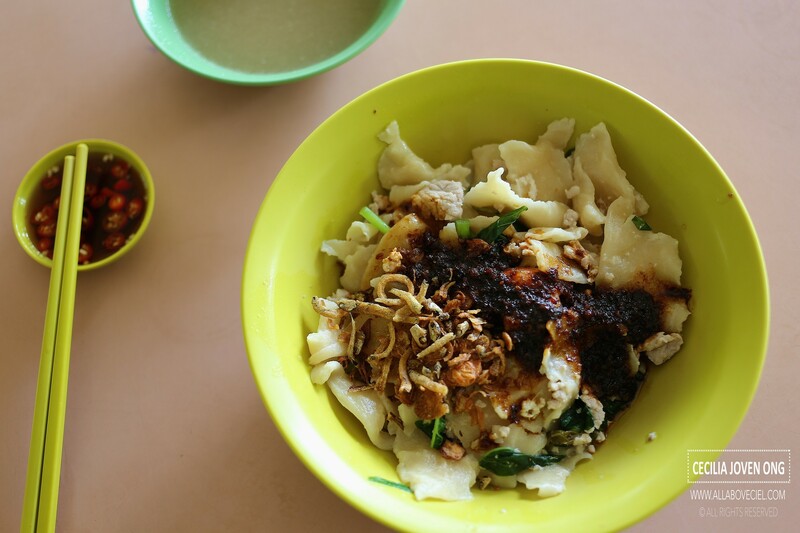 It is a personal preference as i think they serve one of the better dry Mee Hoon Kueh that i ever eaten. Just tossed it slightly to mix the chilli and the sauce well, a bowl of delightful Mee Hoon Kuen awaits. 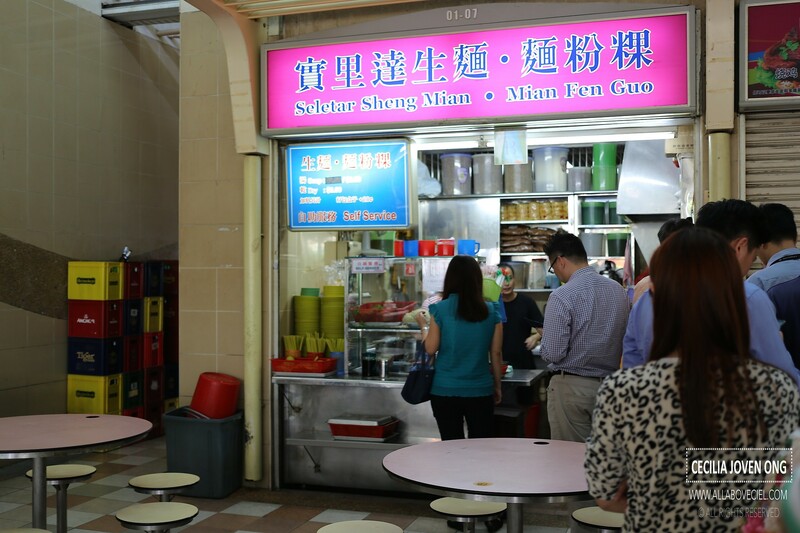 There is another stall run by the owner's brother at the food centre in Toa Payoh Lorong 8. There is a certain similarity in taste with the usual long queue. If you happen to be here and wanting something different, this might be of your liking if you do not mind joining the queue. Hi Cecilia. Many thanks for sharing. I think I should try Dry Beehoon Kueh version at the next visit. From what I know, the Stall at Toa Payoh Lorong 8, Closed on Wed/Thu, and on Fridays, for this particular Stall .